One day, many years ago, I happened upon this beautiful magazine. I picked it up because the design of the cover was intriguing and the graphics so well done. It ended up being Edward Behr’s, ART OF EATING. That first cover quietly reflected the contents; superb straight forward writing about food and its place in our lives. There is no hype; no advertising; just a straight forward opinionated point of view, with which I happen to agree! It is through Ed Behr that I first learned about the term “terroir”. He has been far ahead of other writers in drilling down into the DNA of food. He is deeply interested in the traditions of food, the growing of it, the place of it all in the hearts and minds of each culture. I keep almost every issue in a file related to a specific country. They are pulled out when I travel. Whether it’s Japan or France, he has covered it all. I have learned about obscure wines, green tea, raw milk cheese, French sausages, olive oil, anchovies, bacon, foie gras, cooking equipment, on and on. In addition, he reviews restaurants and books and has others writing excellent columns. Although we have never met, I feel as though I know this man well. He is incorruptible. You have to love that!. Finally, in the synchronicity of it all, Ed lives in Vermont. Another independent “gotta’-do-it-my-way” kind of person that thrives in this state. Thanks for the tip. 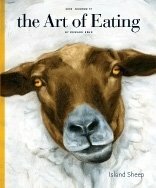 I just subscribed and ordered The Artful Eater.